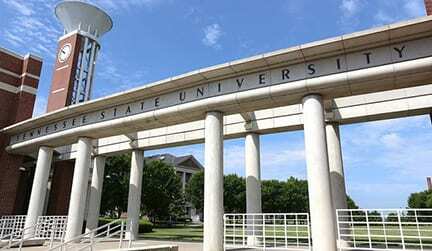 NASHVILLE, TN (TSU News Service) — Tennessee State University received awards for “Best Student Organization” and “Alumnus of the Year” at the recent 2018 Historically Black Colleges and Universities’ Digest Awards. TSU’s Collegiate Citizens Policy Academy received the “Best Student Organization” honor, and James Shaw, Jr. got the top alumnus award. In the case of the Alumnus Award, James Shaw, Jr. made national news in April when he disarmed a Waffle House shooter. Shaw continues to be recognized for his actions. Last week, “Black Panther” star Chadwick Boseman gave his MTV “Best Superhero” Award to Shaw, who was attending the MTV Movie and TV Awards in Santa Monica, California. The HBCU Awards is the first and only national awards ceremony honoring individual and institutional achievement at historically black colleges and universities throughout the country. Winners are selected by a panel of previous winners, journalists, HBCU executives, students and alumni for the merit of accomplishment and for generating positive coverage for HBCU campus communities.